February 9. It’s a pretty random day, but exactly three years ago, I gave it significance; I gave it a life. February 9, 2007. Freshman year in high school. Art class. Free period. But what was this dork doing? Making a card. That whole week, we had to create cards for some organization, and I decided to take it up a notch that day with a pop-up card. Everything in it was pretty random, especially the “Happy February 9, 2007 Day!” greeting in front. I then passed the card around, asking people to sign the back, to show generations to come that they were indeed alive on February 9, 2007. I planned to celebrate it the following years, but I always forgot about it. Until this year! This year, I planned to make another card to pass around, asking people to sign it, but alas, I failed. Instead, Sarah and I did the CD exchange, and her CD I now present to you. It’s mere coincidence that we used practically the same color scheme. How hard it must have been to cut all that construction paper! Thanks a lot, Sarah! I enjoyed the CD very much. A few weeks ago, after discovering some common preferences in music between me and Sarah, we decided that we would make CDs for each other. The “due date”? February 9, 2010. I selected all the songs that I would put in it last week, but I just had to make the actual CD cover and stuff. I was pretty stumped though, so I tried sketching some ideas. Suddenly, an idea hit my head, and I suddenly entered art mode. And when I’m in art mode, it’s difficult to get out of it. I literally spent hours working on this little project. This is the fruit of my labor. 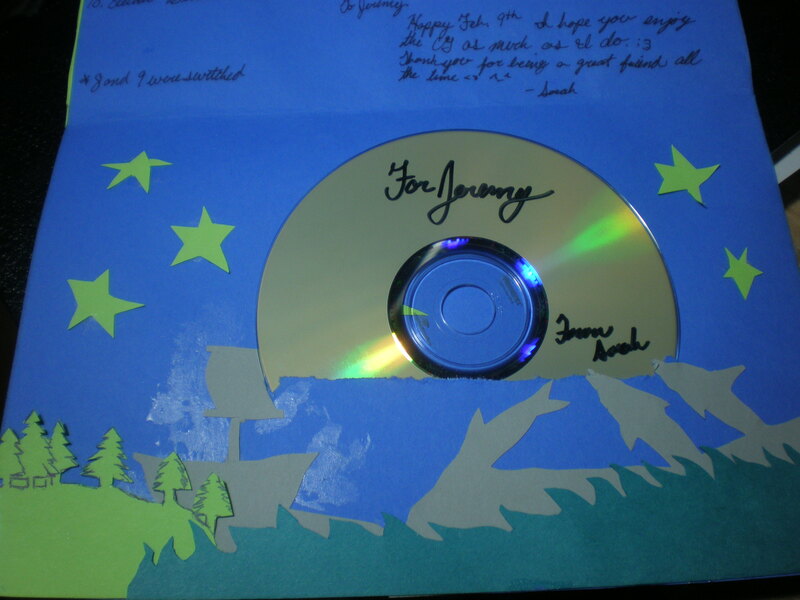 I also designed and drew the other components of the CD, but they’re obviously not visible. Well, Sarah’s probably going to be moving to Florida in the next few months, so it was nice to have the opportunity to exchange a part of each other. I’m not really sure of the significance of these lyrics. 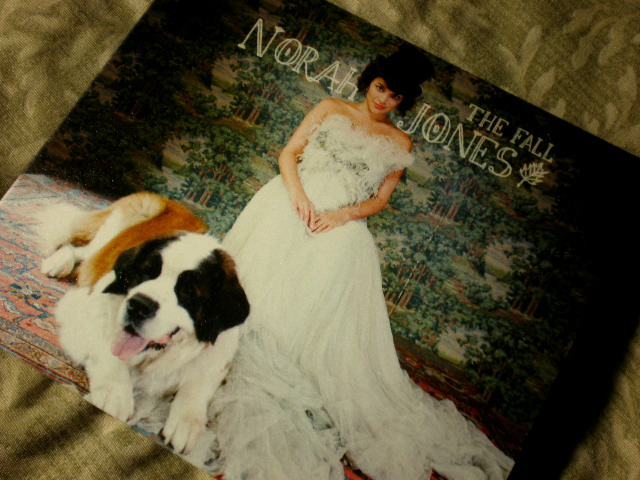 All I know is that I listened to it yesterday, and I fell in love with Norah Jones again. Although I appreciate the jazz style of her music, it is Norah Jones’ voice itself that really gets me. It’s peaceful yet sultry. Very appropriate when you just want to lie down and let everything around you go as they usually do. Then, I discovered yesterday that she was going to release a new album today. So I drove to the nearest Target and bought it. I haven’t listened to it very much yet, but I’m generally satisfied. It takes a while for me to appreciate most songs.